Seller Net9rct assumes all responsibility for the listing and deleting of this ad. 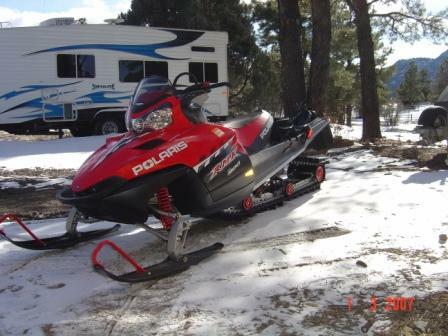 2006 Polaris 900 RMK 166" track, 254 adult riden miles, comes with cargo bag, shovel, and extra belt. All original, no modifications, Paid $11k, asking $6900. Rode only once last winter. This machine is in "like new" condition. Net9rct: You may EDIT your ad Description, or Delete your ad.